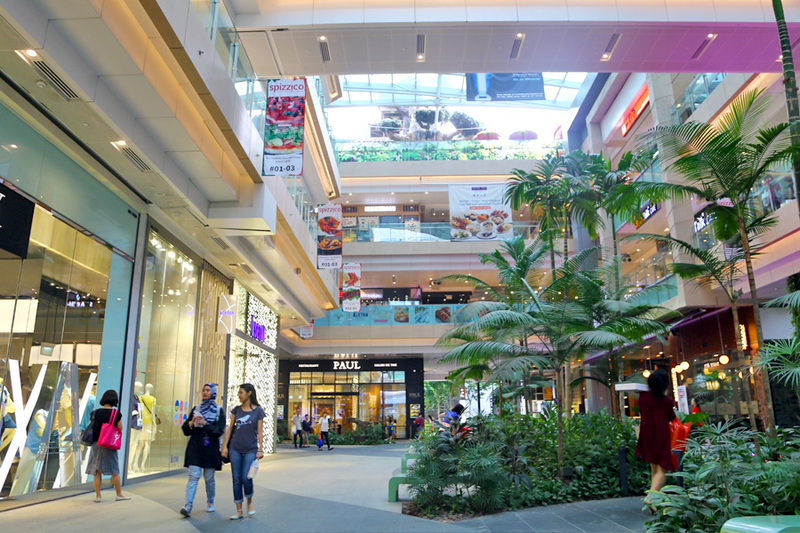 Westgate – 10 Must-Try Restaurants and Cafes For You To Go West! Go West, this is what we’re gonna do, because there are many exciting choices for foodies and shopaholics. Do you know that many popular restaurants have actually chosen to open their first branch outside the city at Westgate? 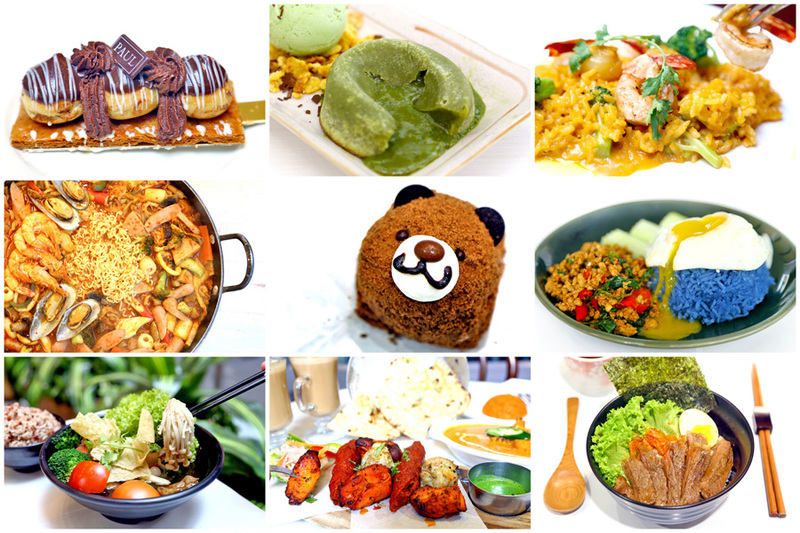 That includes Yoogane, PAUL, Nara Thai Cuisine, Zaffron Kitchen, K.Cook Korean BBQ, Mak’s Noodle, Ippudo, Tonkatsu by Ma Maison, Osaka Ohsho, Ryoshisushi IKEIKEMARU, Lady M Confections and MK Restaurants. I have friends who love all-things Japanese, that includes food of course, and they would venture there for ISETAN, Tokyu Hands specifically to shop for specific items. There is also a significant cluster of Japanese restaurants and cafes such as Kinoshita BBQ Hot Pot, Kushiya Yakitori, Tsukada Nojo, Sushi Express and CoCo ICHIBANYA for oishii Japanese cuisine. 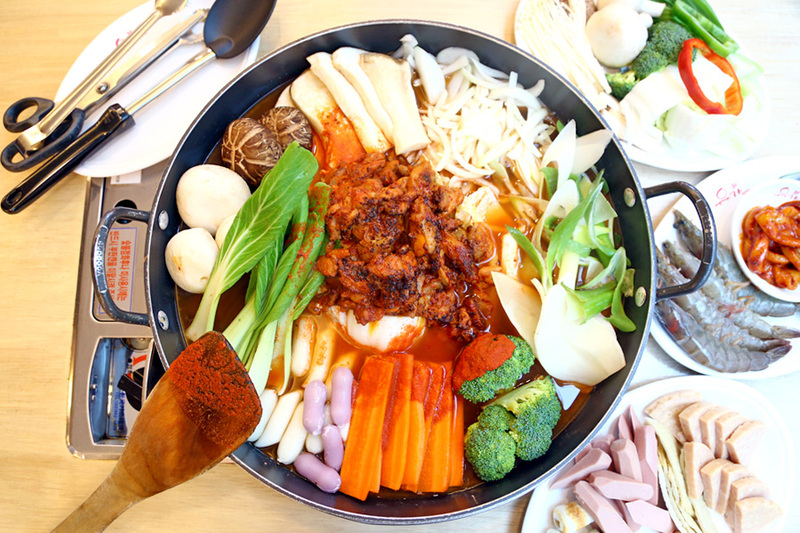 Maybe you are having Descendants of The Sons withdrawal, I say gather a few friends for this new Galbi Jeongol dish at Yoogane Singapore. Tell you what, this dish is seasonal and not even released in Korea itself. Jinjja?! 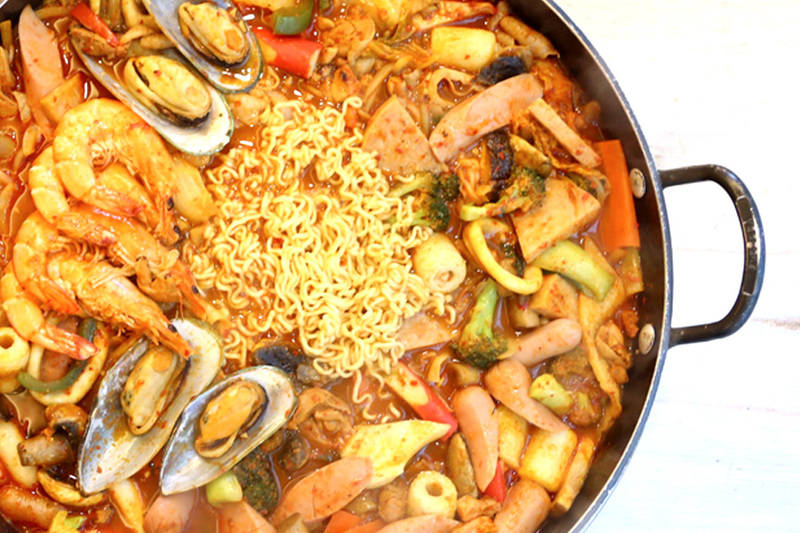 Yoogane has been known for its Dakgalbi stir-fried spicy chicken, this is a version made into a stew – think Army Stew with a lot, a lot of ingredients. The stew with a unique spicy sauce cost $59.90++ which can feed 3-4. So you have specially made toppoki with a melty middle (I leave it to you to guess what it is), spam, sausages, tender chicken meat, mushroom, vegetables … and you can request for more ingredients, especially for a top-up of ramyeon and cheese on it. 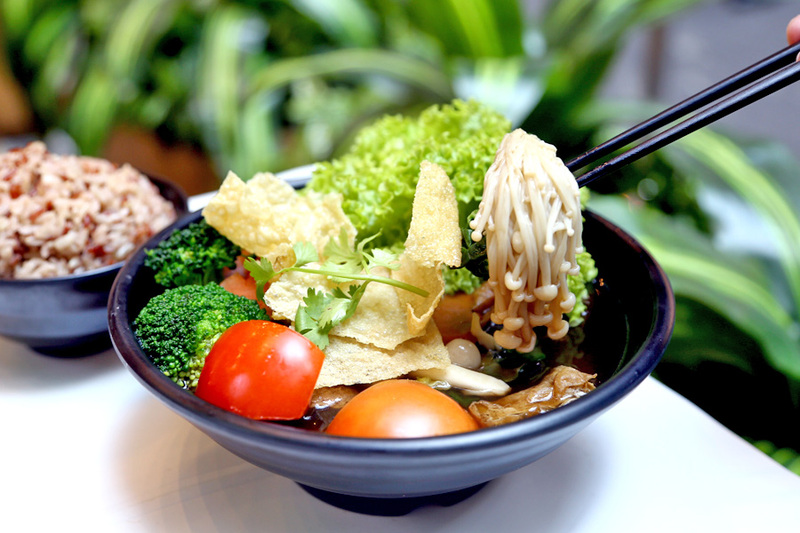 Greendot has earned its place as being one of Singapore’s best Asian vegetarian eatery. 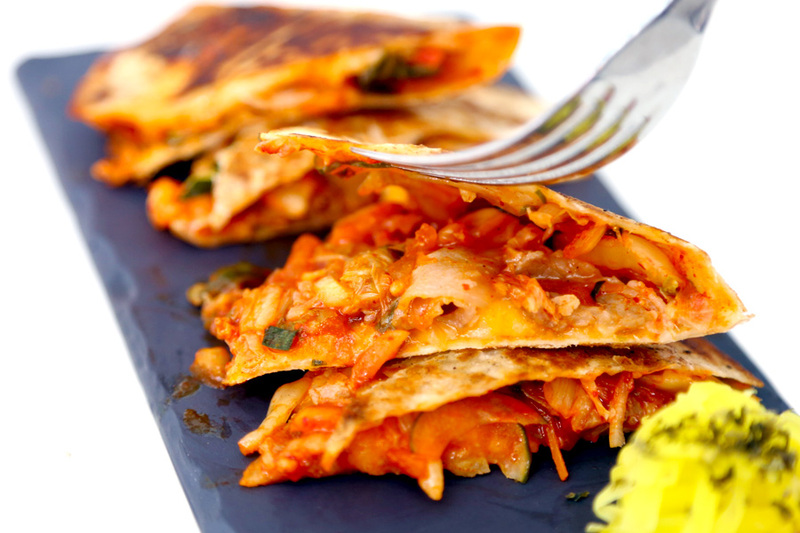 It is meat-free and healthy in offerings, modern-looking and casual in its presentation. Plus, its affordable meals have attracted support from many working executives. 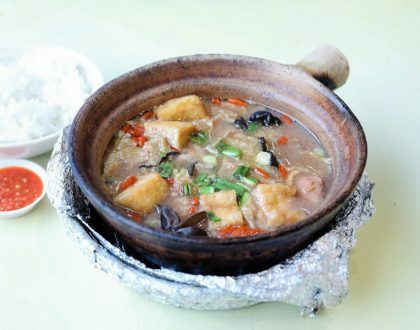 One of the to-have is the popular Mushroom Pot, a set for 1 with brown rice goes for only $8.90. The goodies within include shimeiji, shiitake, enoki mushroom, konnyaku slice, fresh lettuce, nai bai, Chinese cabbage, bean curd, tomato. 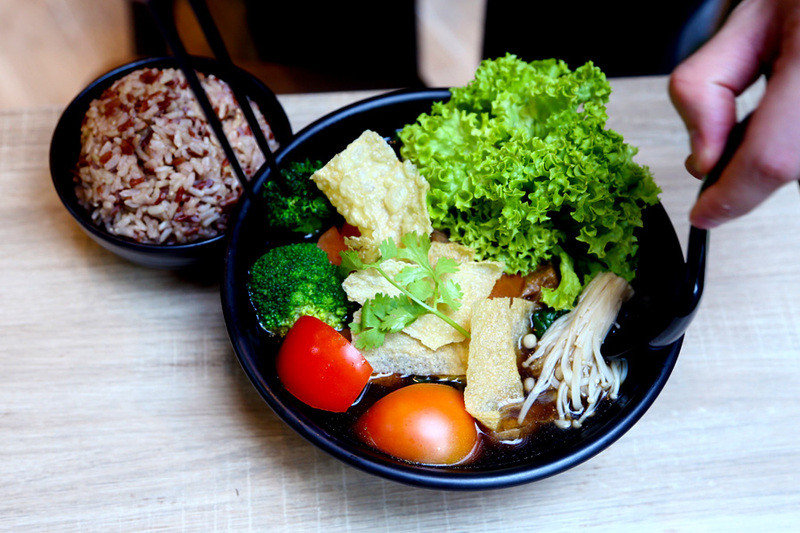 There are 3 soup bases to choose from: herbal, tom yum or laksa. I would recommend the herbal, which is prepared like a mum’s secret receipt of ten different kinds of fresh herbs. Turned out to be hearty and tasty, without that strong medicinal aftertaste. Hao chi de! 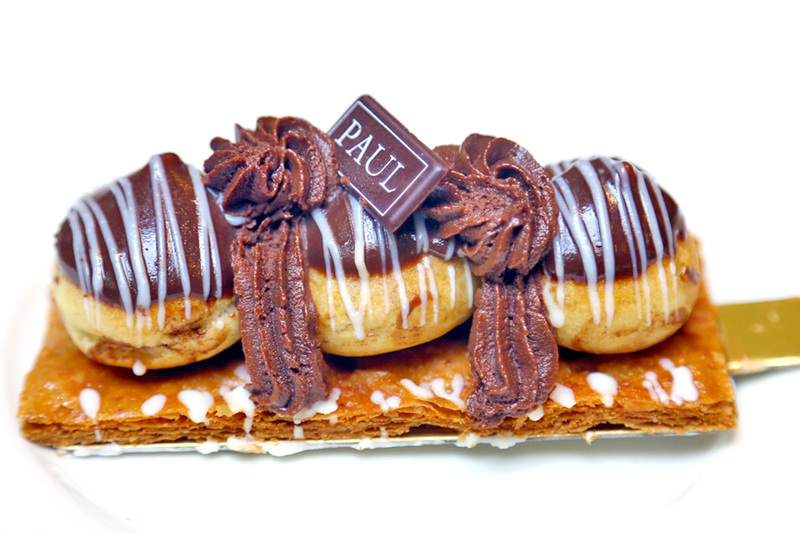 Famous French confectionery and restaurant PAUL has introduced a cannot-be-missed All Day 3-Course with drink Set Special, at $14.80! 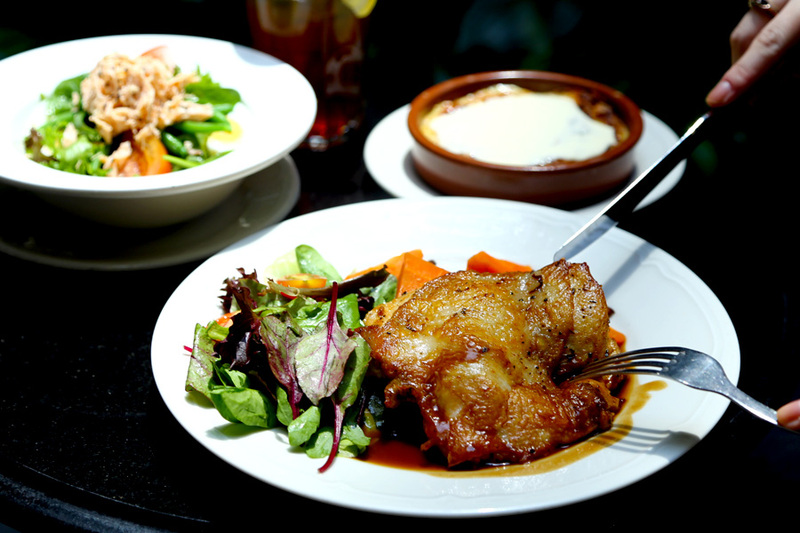 What you get is a Soup of the day (served with fresh bread and homemade butter) or Mini Salmon Salad; a Main Course with option of Grilled Chicken in Brown Sauce (the popular choice – what I had), or Sautéed Beef Sandwich, or Seabass served with Orange Remoulade sauce; and a Bread and Butter Pudding dessert, with a drink. 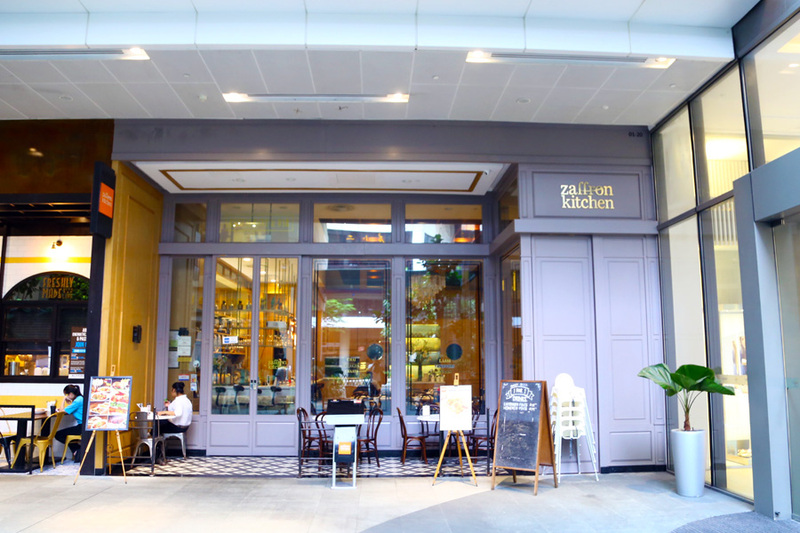 Zaffron Kitchen is one of the few modern Indian restaurants in Singapore that is both contemporary and accessible in terms of its menu. I like it – the space is welcoming, has an easy going approach to Indian fare and with food great for sharing within groups. And now I am craving for some Keema Dosai, Fish Tikka, Tandoori Malay Chicken Tikka, Tandoori Gobi, Mutton Rogan Josh, and Jaipuri Vegetables. 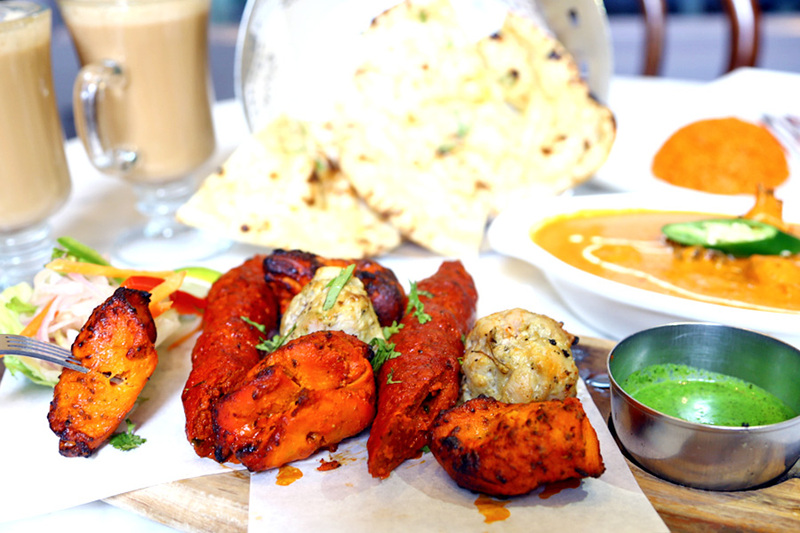 If you cannot quite decide what to order, get the Zaffron Tandoori Platter ($39.50, suitable for party of 4) which offers a selection of Malai Kebab, Chicken Tikka, Mutton Seekh Kebab, Murg Pudina and Fish Tikka. By the way, the curries are so rich and creamy, then you cannot stop dipping the garlic naan in. 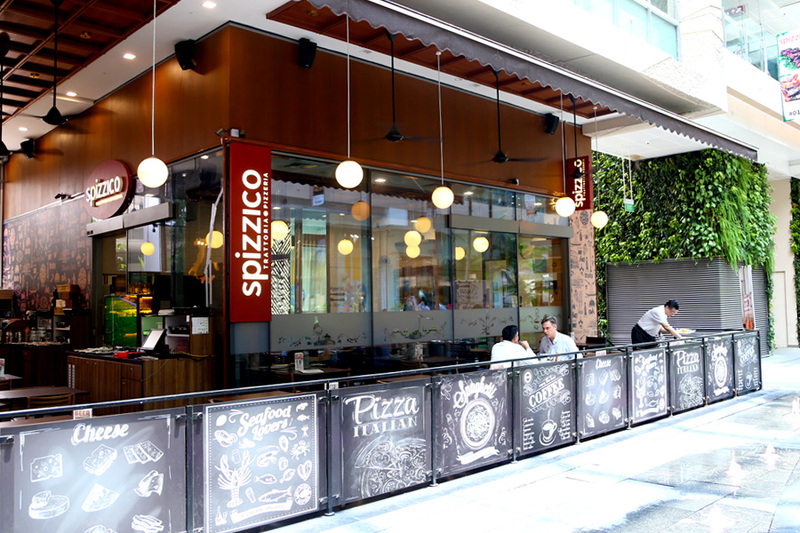 Fans of Spizzico Restorante, previously located at Mohammed Sultan, will be happy to know that this restaurant known for fresh Italian flavours has moved to Westgate. 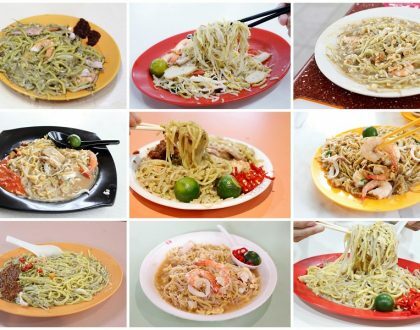 This semi-formal restaurant is where you can get some homemade pasta, Arborio Italian rice, seafood, and pizzas. Sauces, soups, doughs and condiments are all made from scratch and made in the kitchen, with key ingredients flown in from Italy every week. 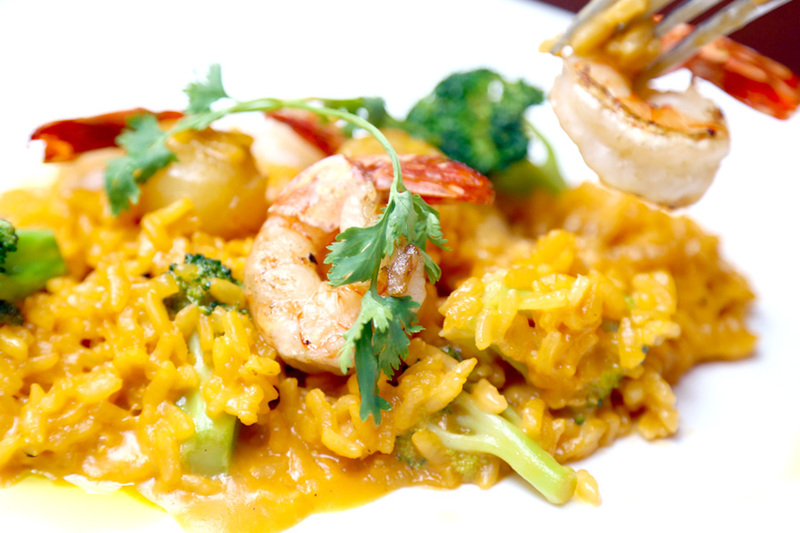 Their all-time-favourite risotto dish is a Il Risotto Alla Zafferano E Broccoli ($28) – Italian Rice cooked with prawn, scallop and broccoli in saffron sauce. The moderately creamy risotto was hearty and fragrant, with the grains of rice having a good bite. The Korean technological geek may find home at SyncTM Korean Fusion Bistro, which is opened in collaboration with Samsung. Thus you would find many Samsung gadgets around. 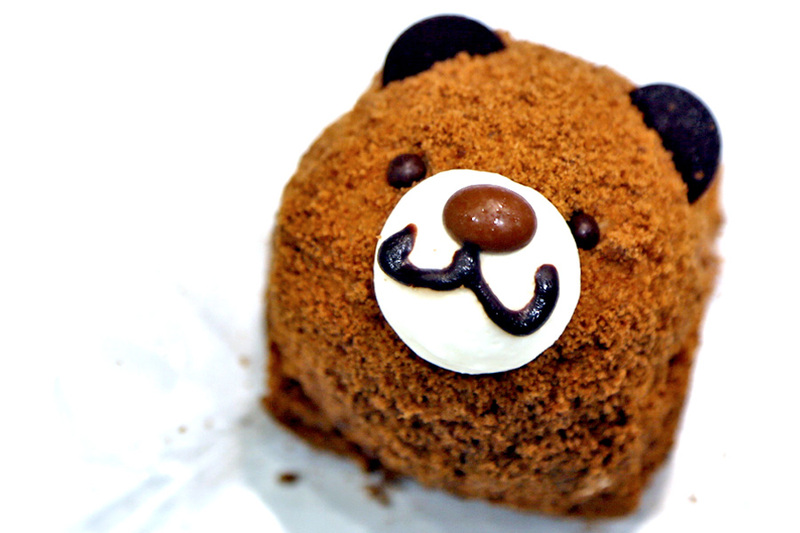 Korean traditional dishes and desserts are given a Western twist. You get Jaeyook Bokum ($7.90) which is a spicy pork quesadilla with kimchi, Toppoki ($8.90) sprinkled with fried bacon and topped with soft-boiled egg, and Kimchijeon ($8.90) of kimchi pancake with tonkatsu sauce. 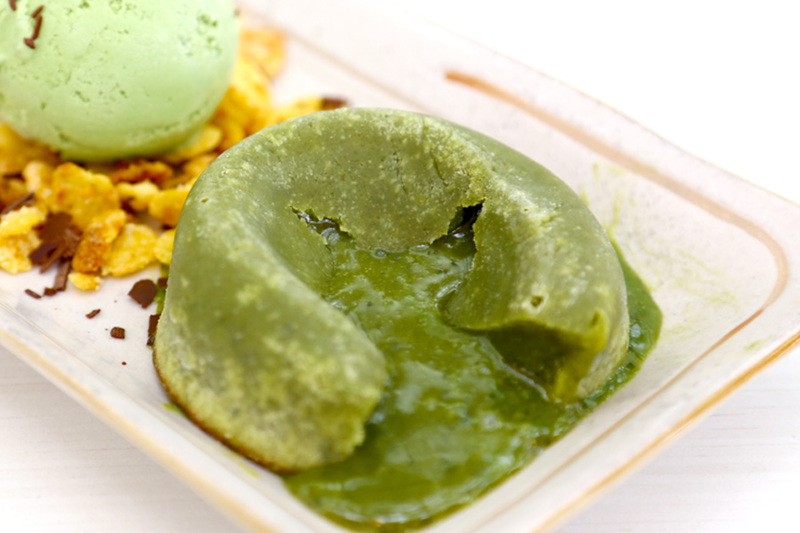 Dessert lovers go for the instagrammable Lava cakes with Korean-inspired flavours of Chokollis Pat (white chocolate infused red bean), Taro and Nokcha green tea lava cake with green tea ice cream ($9.90). Nara Thai Cuisine is famous for dishes such as its Kuay Tiew Rua (Boat Noodles) and Phunim Phad Pong Karee (Stir-fried Softshell Crab with Yellow Curry). 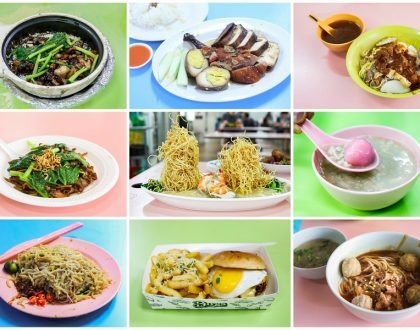 Having been to the Bangkok’s outlets for quite a few times, I asked Nara Thai for dishes exclusive to Nara Thai Singapore. 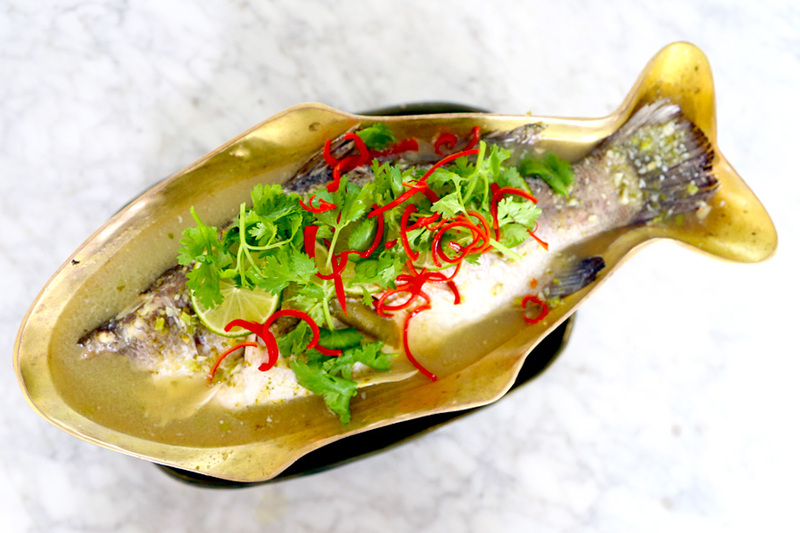 They recommended the Pla Kra Pong Nung Manao, a Steamed Whole Sea Bass with Spicy Chilli Lime Sauce ($32.90). The sea bass is freshly sourced locally from Jurong Fishery Port. Oh, the accompany sauce did have that ‘Thai flavour’, supposedly made with a special blend of Thai garlic, chillies, galangal and lime. It has this savoury-sour-spicy flavour that would make you go “arok mak!” as you pour the sauce over fragrant Thai jasmine rice. 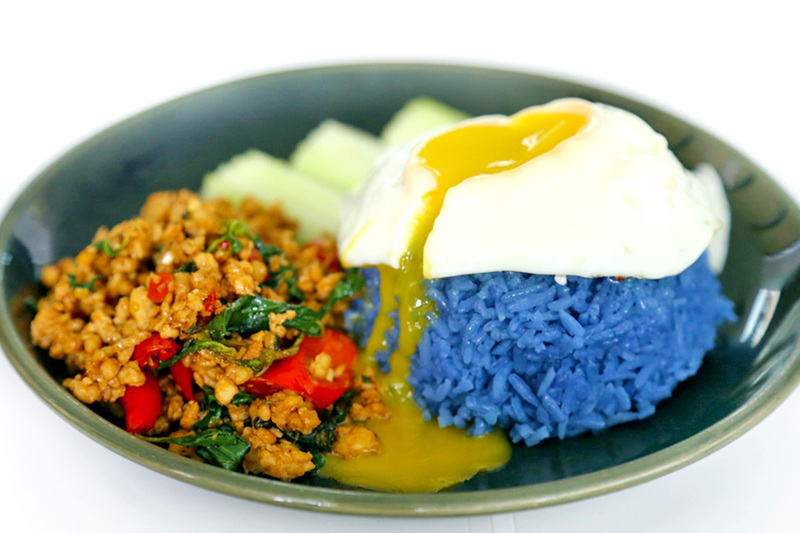 Pair the dishes with the Kao Phad Samunprai (Thai Herbs Fried Rice $6.90), coloured purplish-blue due to the usage of butterfly pea herb, or get a version of Kao Kra Pao Nua ($13.90) with stir fried minced pork and hot basil. 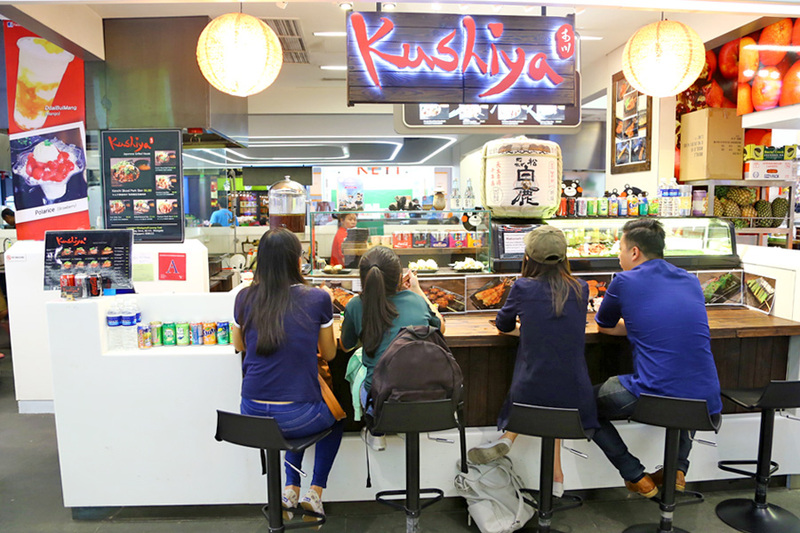 Kushiya is a Japanese style charcoal grilled skewers and Donburi food kiosk, which offers a range of Japanese rice bowls such as Kimchi Sliced Pork Don ($6.80), Pork Belly Don ($8.80), Grilled Mackerel Don ($10.80) and Chicken Leg Yakitori Don ($8.80). The meats are grilled on charcoal upon orders, in order to bring out the smoky flavours of the meat. 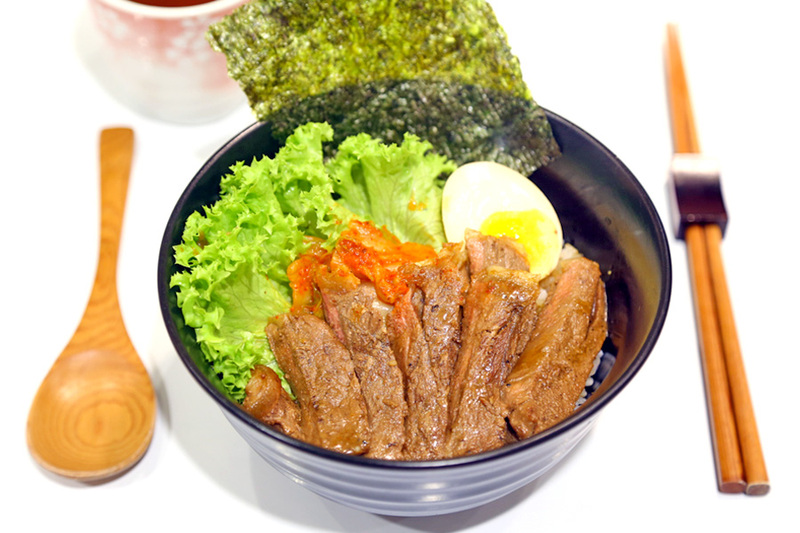 Kushiya’s star dish is the Premium Steak Don ($10.80) in which the beef is done medium-rare added with homemade kimchi, then drizzled with savoury sauce, and comes with a cleansing cup of Mugi roasted barley tea. 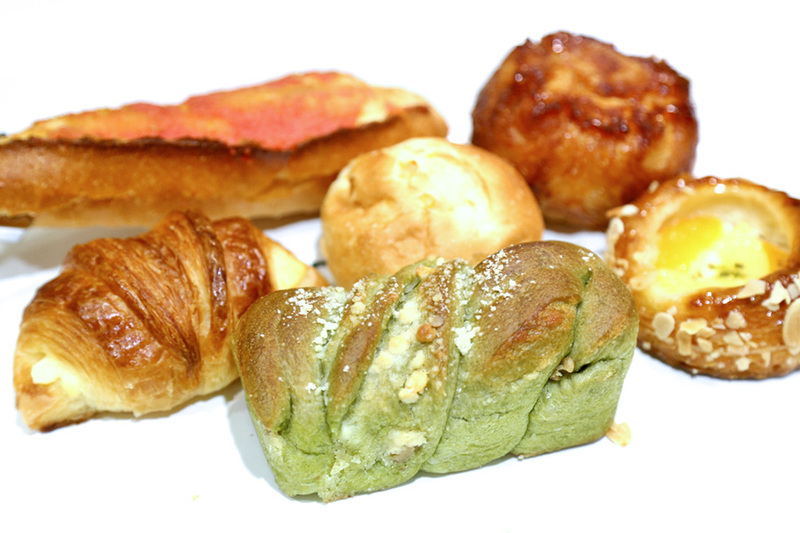 If you are in need of some good quality Japanese bakery serving French style bread, make your way to the basement right next to Isetan Jurong East, Super Market. 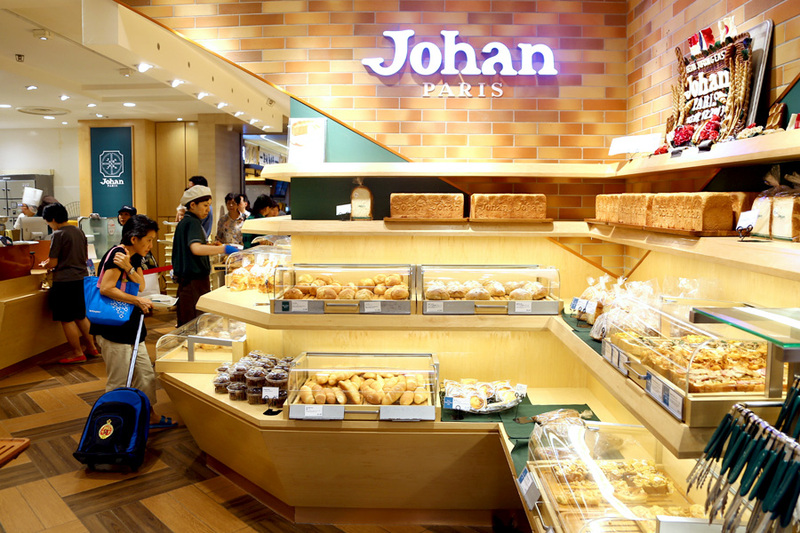 Johan Bakery is quite popular in Japan with 16 outlets, known for its soft and sweet Corn Pan ($1.00), Caramel Apple ($3.00), Kouign Amann ($2.80 – this is good! ), Ham & Cheese Croissant ($3.20) and Maccha Walnut Bread. Here’s a tip for you: Look out for a board that says “It is freshly baked around this time” where the specific timings for the different types of breads are indicated. You may see a short queue of customers waiting in anticipation for those bakes that would come out all fresh and hot. 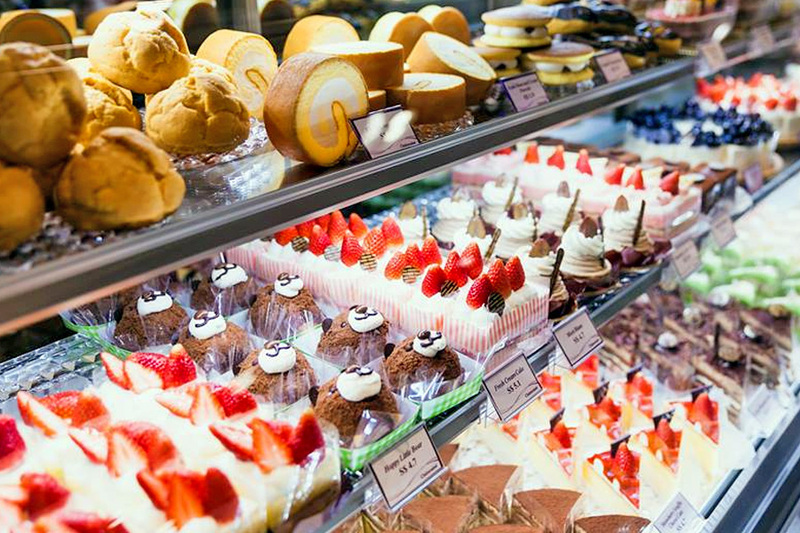 Just next door to Johan is Châteraisé, offering delicious cakes and pastries made from Japanese recipes and fine quality ingredients. Oh, get those fresh cream cakes and swiss rolls for a perfect tea-time snack. * This entry is brought to you in partnership with Westgate.